Free Practice: In the first free practice, due to the tyres regulations the Kaufmann Driver were on used tyres and ended on P 6 Olsen, P 10 Schothorst and P 20 Delétraz. 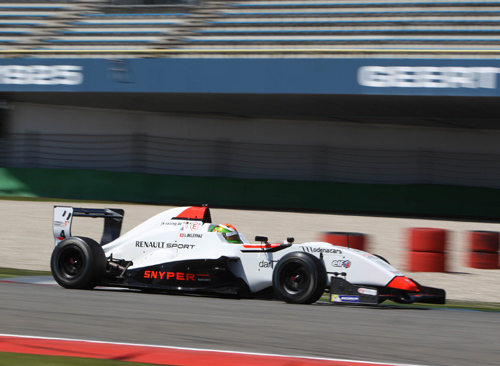 In the second free practice the Kaufmann Drivers improved on ended on P 3 - Schothorst, P 4 - Olsen and P 10 - Delétraz. Qualifying: In the Qualfying which was split into two groups, it was Olsen and Delétraz first out on track. Delétraz drove a good Quali finishing P 5 and P 4 in the group. Olsen drove a perfect Qualifying and took two times P 1 in his group. Schothorst in group 2 dominated the whole Qualfying. He put two fastest lap times resulting in two Pole-Postions. 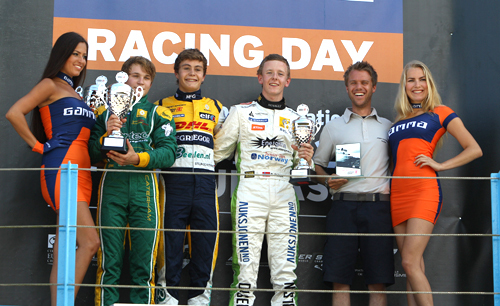 The Grid: Race 1: Pole - Schothorst, P 2 - Olsen, P 10 - Delétraz. Race 2: Pole - Schothorst, P 2 - Olsen, P 8 - Delétraz. Race 1: At the start Louis Delétraz dropped back a few postions, but was able to move up positions again and finished the race on P 11. 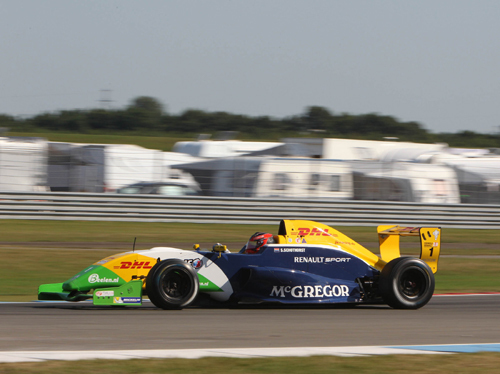 Dennis Olsen was running on P 2, untill halfway of the race he dropped back to P 3. 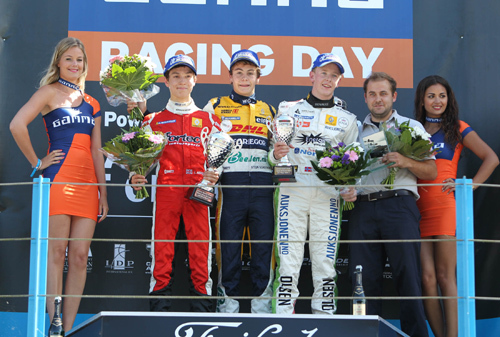 In the end again a podium finish for the young Norwegian driver. In the lead it was Steijn Schothorst who dominated the whole race. Pulling away from the field he took a nice lights to flag victory! Race 2: In the second race Delétraz lost again one position at the start and dropped back to P 9. The young Swiss driver was able to keep that position till the end. Olsen again was running on P 2 till halfway through the race but then again he lost one position. Still he was able to score a superb P 3 and stepped upto the podium again. 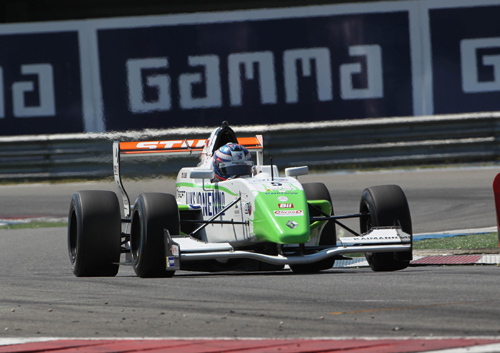 Steijn Schothorst was the dominating Driver again. Like the day before he pulled away in the front of the field. After 16 laps he took his second lights to flag victory of the weekend.